Lila's Child is available in hardcover, paperback and e-book versions. There are reviews to read at Amazon.com. 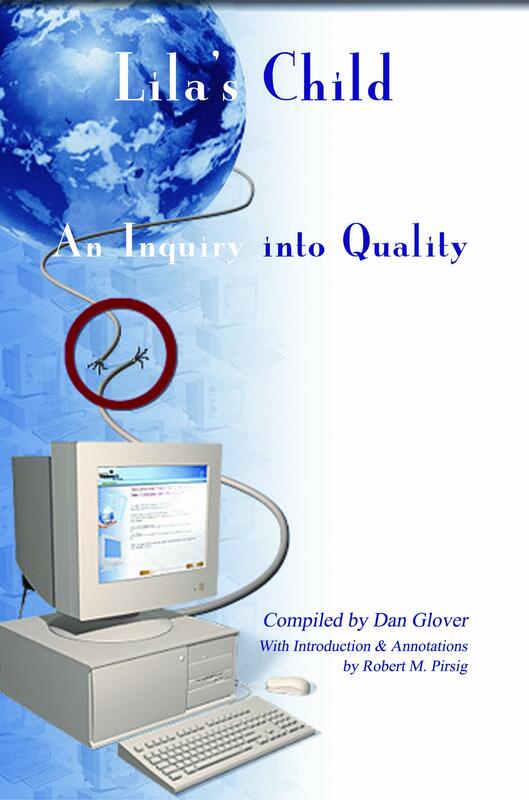 Quality ... what is it? We all "know" what Quality is, and yet it remains undefinable "somethingness" that, try as we might, refuses to be categorized and pigeon-holed in ways we are accustomed to doing in our everyday lives. Why would this be? Robert M. Pirsig has written two books on his pursuit of Quality ... Zen and the Art of Motorcycle Maintenance; An Inquiry into Values and Lila; An Inquiry into Morals. Both books will be cornerstones of essays and book reviews below as I attempt to bring Quality into sharper focus although the premier focus of this site is upon Lila. Should anyone have any comments or thoughts they'd like to share with me I may be reached here. I now have several novels as well as several collections of short stories available for both borrowing and for purchase. Motorcycle Rights Organizations in the USA - A.B.A.T.E.